ohhh i hope i did this right??? Thanks for HOSTING!!! 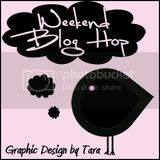 Stopping by to link up...Hope you have a wonderful weekend. Hi! I'm a new follower on GFC. Hello! 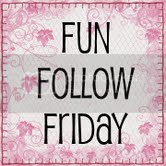 I am a new follower on GFC, and it's my first time linking up to your hop. Thank you for hosting! Hi! Happy Friday! Now following on GFC, Facebook and Network Blog. I don't twitter or blog frog yet. And I think I put my network blog in the GFC space. Sorry - go ahead and delete me if you want. Thanks! 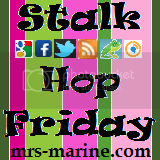 Stopping by for the Friday Blog Hop and following. What a great resource for this blog hoppin' newbie. Newly following through Tara's Weekend Blog Hop. What a nice blog. 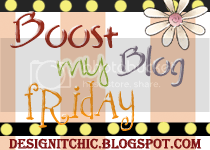 I am from MBC and Friday Blog Hop. 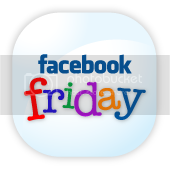 I followed your gfc, nwb, twitter and like your fb pages. 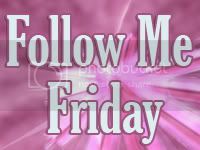 Can you please follow me back and so as my other blogs if you do not mind. I do appreciated it. Have a wonderful night. Sure I'll stalk you, follow you, whatever you want to call it and would love it if you'd check out my humor blog too. Hola! What a great name for a blog hop! I just had to join, and I know it is not Friday (yet!) but I added your Blog Link to my blog page, and it fits the theme of my blog so well... thanks for hosting this and see you (next) Friday!